In today’s world, democracies are coming under increasing pressures, including in the USA and Europe, largely due to changing leadership metrics and even a range of idiosyncrasies, impacting leadership styles. Whether single-party, non-democratic governance resultantly engenders disproportionate influence on global affairs remains an important, even debatable, proposition. The warning bells are, however, loud and clear. In this incisive and comprehensive chronicle, Mohan Menon examines the interlinked dynamics of Indian and global security, certain imperative safety parameters and connected priorities of modern governance. His informed narrative evaluates the relative range of the unpredictable authoritarian influences of collective dimensions rapidly impacting processes of some functional and proactive democracies. Rather than single-party regimes, world’s democracies are the ones that invariably get threatened, even manipulated, with comparative ease. So, where precisely is the ‘secure space’ for Indian democracy, the world’s largest, in any global pecking order? These issues, their impact and linkages are reflected herein. 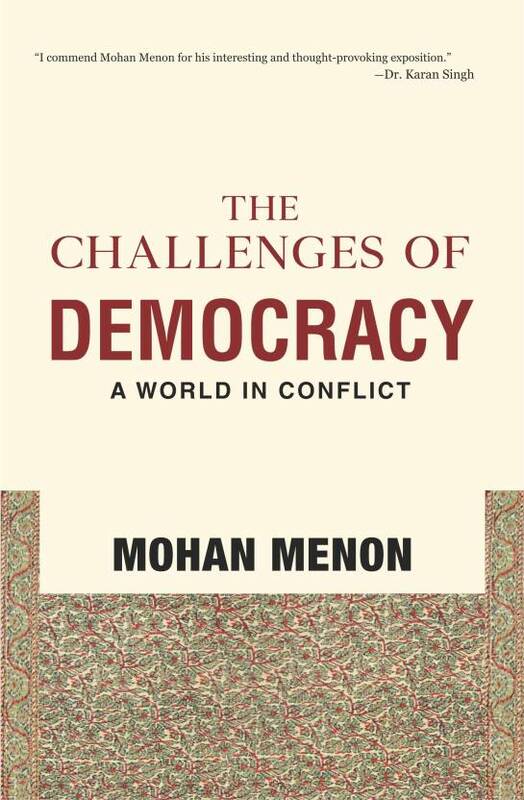 With a wealth of multi-arena appointments behind him and his current preoccupation as a strategist on global security dynamics and governance, Menon has delved deep into his experiences to present this well-researched account. This book with its useful dimensions and thought-provoking takes would be of immense value to all those with a keen interest in contemporary politics and the possibilities for changes, both in the current and future Indian and global scenario.